Paradise in Maui - the Maui Kamaole Resort! We have been VRBO members since 2003. We live in California, and love Maui. Maui Kamaole is perfectly located at the south end of Kihei, close to the plethora of beaches in Wailea and Makena. It is a low-density condo development and the grounds are absolutely beautiful, like walking through a tropical garden. Most units are up away from the South Kihei Road, so all is quiet to enjoy the trade breezes in the palm trees. This unit is conveniently located between the two swimming pools and the BBQ pavilion is also close by. The unit is clean and comfortable, with a completely outfitted kitchen, and the lanai is very private. Beach towels and beach accessories are provided. The owner was very responsive and check in and out details were easy. Perfect! We had such a wonderful time in this cute little condo. It was perfect for our family of 4 the kids room didn't have any windows as it use to be an offic8or den I believe perfect for me the kids. The pool there does have many rules that are strictly inforced but we didn't have any trouble. The little yard was great to have and the owners were great to work with. The condo was perfect for me and my two boys. We had everything we needed and we were so close to beach. The grounds and the pool are very well maintained and beautiful. Will definitely stay there again when traveling to Maui. Our family of four adults stayed in this lovely condo in January 2015 for 10 days. The condo is comfortable, well-equipped and in the perfect location for beaches on the south coast. The units are quiet and private, and the complex is well-kept with lovely gardens. We love this location when we come to Maui and would happily return to your home Joyce. Thank you. Thank you so much for your e-mail. I have been meaning to send you a note letting you know how much we enjoyed our time in your Maui home. The unit was clean and VERY comfortable. We think your furniture choices are so comfortable (I prefer your couch and coffee table to some of the glass and wicker ones in other condos) and the king size bed was an unexpected surprise. Our son loved his time in the pool, and we loved being able to hear the watrfall from the unit. 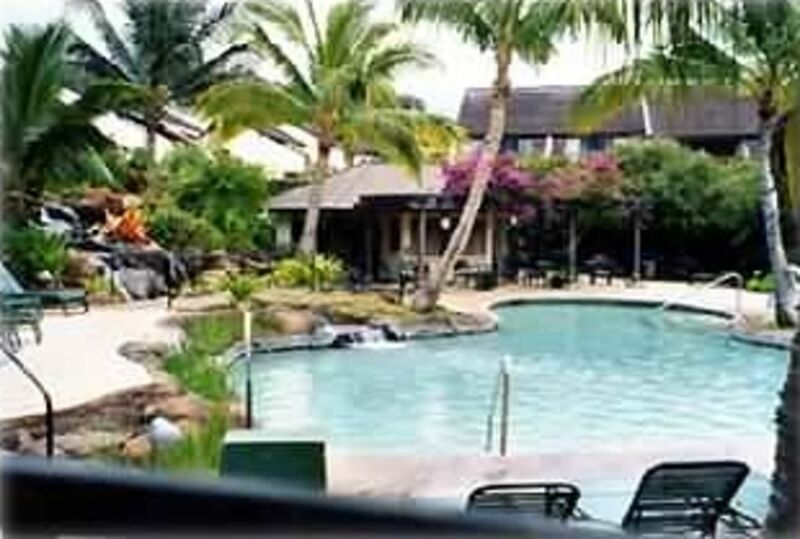 We spent many happy hours there, and on the lanai, although we did venture to the beach with him. The weather was perfect everyday, and we weren't ready to lave when our time was up! My sister and brother in law were also in Maui with their children. When they arrived at our condo, they stated that our unit was much nicer than theirs, and we would have to agree. I think you are fortunate to have such a wonderful second home. Maui is the perfect place to travel with a child, and we hope to return. We will certainly be contacting you regarding your unit when we do, and have already passed your name on to some friends.